Electric fires are safe and highly effective. 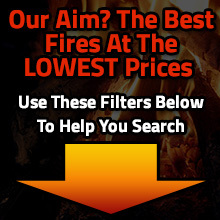 They will heat a room quickly and well, look great and are generally very good value. A wide range of looks can be achieved with an electric fire: they're highly versatile. They can be part of a traditional look, or can offer a sleeker, more modern appearance. 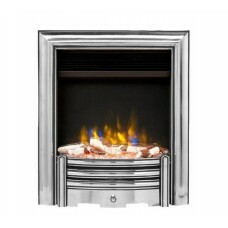 Many electric fires can be fitted straight to a flat wall, while others need to be fitted into a recess. Their heat source can often be operated separately from the fire's appearance, so if you want to enjoy the look of a fire on a warm day, you can. 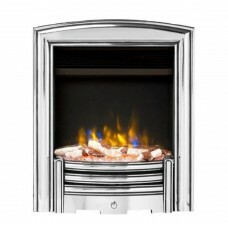 Electric fires use one of a range of different technologies. They include flickering logs, ribbon flames and Optiflame. The latter is a highly realistic flame effect, popular around the world. Some fires come equipped with a remote control, for extra convenience.